Cedar Rapids Mayor Brad Hart has been a successful business lawyer for more than 35 years, first in Houston, Texas, and since 1990 in Cedar Rapids at the firm of Bradley & Riley PC. He works with his clients on a variety of business matters and business acquisitions. Brad’s professional recognition includes the highest rating from Martindale Hubbell, being listed in Best Lawyers in America and Chambers and being named the Lawyer of the Year in Iowa for Corporate and Mergers & Acquisitions Law. Davis, age 55, is chairman, president and chief executive officer of U.S. Bancorp, a financial services holding company with more than $361 billion in total assets and businesses across the United States, Canada and Europe. U.S. Bancorp is headquartered in Minneapolis and is the parent company of U.S. Bank, which has 3,088 full-service banking offices and 4,937 ATMs in 25 states. U.S. Bancorp is also the parent company of Elavon, a leader in the payment processing industry. U.S. Bancorp and its employees are dedicated to improving the communities they serve, for which the company earned the 2011 Spirit of America Award, the highest honor bestowed on a company by United Way. Davis began his banking career as a teller at age 18, worked his way through college and now leads the nation's 5th largest commercial bank. He became CEO of U.S. Bancorp in 2006, previously having been a senior executive with the organization and its predecessors since 1993. He chairs U.S. Bancorp's managing committee, the 14 highest-ranking executives within the organization. Davis has been an influencing force in the banking industry for 36 years. His leadership and prudent approach to financial management has garnered national and international praise for U.S. Bancorp, which has emerged as strong and stable following one of the most difficult chapters in banking history. His outstanding leadership skills were recognized as he was named the "2010 Executive of the Year" by the Twin Cities Business Journal and "2010 Banker of the Year" by the American Banker. During his career Davis has held executive level positions with Bank of America and Security Pacific Bank, both in Los Angeles, and with legacy organizations of today's U.S. Bancorp, which include the former Firstar Corporation in Milwaukee and Star Banc Corporation in Cincinnati. Davis' enthusiasm for his industry is equally prevalent in his civic and philanthropic commitments. Davis serves on the boards of the Minnesota Orchestra, Twin Cities YMCA, Minneapolis Art Institute, University of Minnesota Foundation, Greater MSP, National American Red Cross, The Clearing House, University of San Diego and the Financial Services Roundtable. He is Chairman of the board for the Minnesota Business Partnership and Itasca Group. He also serves as the lead director of Xcel Energy Inc. and serves as chairman of the board of U.S. Bancorp. Davis has been honored by the Banking and Finance Division of the UJA- Federation of New York and has been the recipient of the President's Lifetime Volunteer Service Award. In 2011, he received the Henrickson's Award for Ethical Leadership. Davis earned a bachelor's degree in economics from California State University at Fullerton, and is married and the father of three adult children and has two grandsons. Doug became Senior Vice President in March 2014. Throughout his 19 years with Alliant Energy, Doug has held positions including Vice President – Environmental Affairs, Director – Environmental Affairs, Plant Manager for three Iowa generating stations, Director of Energy Pricing & Economic Analysis and a number of management roles in customer service. Doug became President of Interstate Power and Light Company effective April 1, 2014. Doug received a bachelor's degree in Industrial Administration in 1977 and Psychology degree from the University of Utah in 1981. He is a member of the board at the Entrepreneurial Development Center and committee member for the United Way of Eastern Iowa. Chris joined Guaranty Bank & Trust in September 2009 and serves as President, CEO and board member of the Bank. In addition he is a director of Guaranty Bankshares and its related real estate company, Guaranty Realty. As a locally-owned community bank, Chris believes in giving back to the community through service and volunteering on local and state-wide non-profit boards and committees. Prior to Guaranty for 28 years, Chris served in a number of executive and leadership roles including 8 years of internal business for Alliant Energy and its predecessors. Chris hold a bachelor’s degree in computer science and an MBA from the University of Iowa, is a Registered Jeweler of the AGS and is a graduate of the Graduate School of Banking, Madison. He is a board member of Cedar Rapids’ SSMID, the African American Museum of Iowa, the Iowa Natural Heritage Foundation and the Marion Library Foundation. Gene Neighbor was born in Cedar Rapids, Iowa and has always been an Eastern Iowa community advocate. Gene graduated from Alburnett Community High School in 1969. He went on to study at Iowa State University where he graduated in 1973 with a degree in Industrial Administration with an emphasis in Finance. Gene has worked at Farmers State Bank ever since graduating college and has held many different positions at the bank. He gained banking and finance experience as a Teller, Assistant Office Manager, Office Manager, various lending positions including EVP of Lending/Chief Credit Officer, and currently serves as the President & CEO. Gene is heavily involved in volunteering and helping others. He is currently Chair Elect for the St. Luke’s Foundation. He is a Deacon and the Finance Chairman at Alburnett Christian Church, a 40+ year member of the Alburnett Lions Club, and has given countless hours as a volunteer Little League baseball coach. Gene served on the Alburnett-Otter Creek Township Volunteer Fire Department for over 25 years. He has also been a part of many boards in the past including Hawkeye Area Boy Scouts of America, Alburnett Sports Booster Club, and the Cedar Rapids Metro Area YMCA. When Gene is not at FSB or volunteering his time, he enjoys watching his 14 grandchildren’s activities, including anything from music to sports. Jim is responsible for the coordination of Transamerica/Aegon’s Corporate Development Activities in North and South America. He joined Transamerica in August of 1995 in Corporate Accounting taking on several key financial roles, including statutory reporting, capital management and the accounting integration of acquisitions. He was named Vice President and Controller of Transamerica’s US Operations in August of 1997. In addition to coordinating all financial systems, the group was responsible for financial planning and reporting for all Transamerica companies. His other responsibilities were Treasurer, Corporate Risk Management, Rating Agency Relationships, Corporate Communications and the development of a new Leadership Development Program. His team has lead over a dozen transactions representing more than $35 billion in assets. Before moving to Transamerica Jim received his Bachelor’s degree from Fairfield University in Connecticut, Jim joined the General Electric Company as a participant in the Financial Management Program. He spent the first 12 years of his career with General Electric, initially in various Corporate and Divisional financial roles in Power Generation, Nuclear Energy, Major Appliances and NBC. His last assignment was Manager, Finance (CFO) in GE Capital's Vendor leasing unit. During his time with GE Capital, Jim was involved in numerous acquisitions in both the United States and Europe. Jim lives in Cedar Rapids, IA with his wife Bonnie. He is the father of four. In addition to school and athletic activities he has been on the board of United Way of East Central Iowa, Theatre Cedar Rapids and the Cedar Rapids Science Center. Kelly Ortberg is chief executive officer and president of Collins Aerospace. He was appointed president in September 2012 and was elected CEO in July 2013. Ortberg joined the company in 1987 as a program manager and held various leadership positions of increasing responsibility over the course of his career. Among other achievements, he played a pivotal role in milestone contracts for Collins Aerospace in both Commercial and Government Systems, launched innovative product lines that continue to transform commercial and military operations, and helped set the strategy for the future direction of the company. Before becoming president, he served as executive vice president and chief operating officer of Government Systems from February 2010 to September 2012. Government Systems provides airborne and surface solutions to the U.S. Department of Defense, ministries of defense throughout the world and manufacturers of military platforms. In that role, he led major contract wins, including avionics business on the KC-4A, KC-10 and the Embraer KC-390. Previously, Ortberg served as executive vice president and chief operating officer of Commercial Systems for Rockwell Collins, which produces aviation electronics and communications for the air transport, business aviation and regional airline market segments. He was appointed to this position in October 2006 and oversaw pursuit and development programs for the Airbus A350 XWB, Boeing 787 and Bombardier CSeries. He also oversaw the launch of Rockwell Collins' highly successful Pro Line Fusion® integrated avionics system, which has been selected for more than 15 platforms ranging from turbo props and light jets to air transport and tanker aircraft for manufacturers across the globe. A native of Dubuque, Iowa, Ortberg earned a Bachelor of Science degree in Mechanical Engineering from The University of Iowa. Ortberg serves on the board of directors for the Rockwell Collins Good Government Committee, The University of Iowa Engineering Advisory Board, the Hawkeye Area Council of the Boy Scouts of America, and FIRST® (For Inspiration and Recognition of Science and Technology). He also serves on the Board of Governors of the Aerospace Industries Association (AIA), is a member of the Iowa Business Council, and the Governor's STEM (Science, Technology, Engineering and Math) Advisory Council. Chuck Peters is the President and Chief Executive Officer of The Gazette Company, a company owned by a trust for the benefit of the employees (ESOP), consisting of The Gazette newspaper, KCRG – TV9, an ABC affiliate, Hoopla, and numerous online sites; Fusionfarm, a digital services agency and ColorWeb Printers. A lawyer by training, graduating from the University of Iowa College of Law, Chuck spent a decade in the appliance business, five years as President of Amana Refrigeration and until 1998 as Vice President – Administration of Maytag. Between appliance assignments, he was the CEO of Breakthrough, an Iowa City start-up software and consulting company engaged in developing effective early literacy programs for school systems. On September 20, 2010, Jeff Pomeranz became the new city manager for the City of Cedar Rapids. During his 25-year career, Mr. Pomeranz has served as city manager for three other cities, including the City of West Des Moines, Iowa from 1998 to 2010, the City of Port Angeles, Washington from 1990 to 1998 and the City of Del Rio, Texas from 1985 to 1990. He has also served as an executive board member for the Iowa League of Cities and the Iowa City Management Association; chair of the State of Iowa's I-JOBS Board; and Adjunct Professor for the Master of Public Administration program at Drake University. He received a Bachelor of Arts in Political Science from the Rochester Institute of Technology in 1980 and a Masters of Public Administration from the University of Alabama in 1982. Mr. Pomeranz serves as the second city manager for the City of Cedar Rapids. 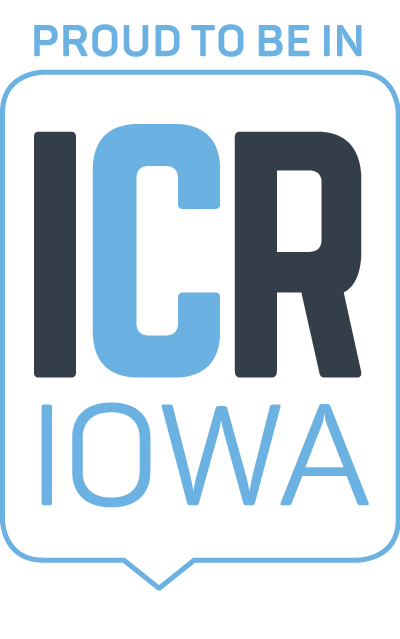 On June 14, 2005, the citizens of Cedar Rapids voted to adopt a Home Rule Charter, which changed the form of government to the Council-Manager form. Jim Prosser served as the first city manager from 2006 to 2010. In addition to holding a bachelor's degree from the University of Northern Iowa, Mr. Ramlo has obtained the following professional insurance designations: Associate in Management (AIM), Associate in Fidelity and Surety Bonding (AFSB), Associate in Risk Management (ARM) and Chartered Property Casualty Underwriter (CPCU). He is also a member of the CPCU Society and Surety Association of Iowa. Mr. Ramlo serves on the board of directors for the Cedar Rapids Museum of Art, Cedar Rapids Bank & Trust, Iowa College Fund and The Cedar Rapids Metro Economic Alliance. He also serves on the Juvenile Diabetes Research Foundation Board of Trustees and the University of Northern Iowa's College of Business Executive Advisory Board. Chris started his career working as a Project Manager for Skogman Homes. Chris assisted in the construction of close to 300 homes in the Cedar Rapids and Marion communities before deciding to change his career path and move over to Skogman Realty in 2006. It was in 2008 that Chris took the reins from his father, Rick, who started the company in 1973. In that time Chris has grown the company from 150 to 220 agents and increased sales volume from $530 million to more than $815 million. In 2009 Skogman opened its first office in the Iowa City and Coralville real estate market and has quickly grown to more than 40 full time agents and is the 2nd largest company in the Iowa City area. Along with Chris's business accomplishments he is also very passionate about giving back to the community and has served on a number of boards throughout his career and is currently sitting on 6 boards. Dr. Lori Sundberg is the 5th president of Kirkwood Community College and the first female to serve in that role. Sundberg holds a Doctor of Business Administration in Management from St. Ambrose University (2003) as well as a Master in Business Administration in Marketing from Western Illinois University (1998). She received her Bachelor of Arts degree from Knox College with a double major in Economics and History (1995). Prior to coming to Kirkwood, Sundberg served for eight years as the President of Carl Sandburg College in Galesburg, Illinois. Sundberg was the 6th president for Carl Sandburg College and the first graduate and female to lead the institution. She has more than 23 years in community college leadership. Ted Townsend is the President and CEO of St. Luke's Hospital in Cedar Rapids, Iowa. He is also currently serving as a Senior Vice President of the Iowa Health System. Ted has been with St. Luke's since June of 2002. Prior to coming to Cedar Rapids he was Senior Vice President, Operations for Geisinger Health System in Danville, Pennsylvania. Ted holds a Bachelor of Arts Degree in English from Western Michigan University and a Master of Science in Healthcare Administration from the Medical College of Virginia, Virginia Commonwealth University. Ted is a Fellow of the American College of Healthcare Executives. Ted is involved with many local, state and national organizations including the Iowa Hospital Association Board, Iowa Statewide Poison Control Center Board, Rotary Club of Cedar Rapids Board, Health Enterprises of Iowa Board, US Bank Board, Metro Economic Alliance Board, National Czech and Slovak Museum Board, and Surgery Center Cedar Rapids Board. Ted is also on the Boards of Trustees for Waypoint, United Way, and Big Brothers Big Sister. Ted is married to Cathy and has three children; Chelsea, Elizabeth and Ted. He is originally from St. Louis, Michigan.